Mr. Coleman is the President of Convergence, Mitigation, Management (CMM) LLC, a management consulting business. CMM develops and provides custom business intelligence and advisory services for business, government, applied research, not-for-profit, and non-governmental organizations. CMM helps organizations identify, understand, assess, and prioritize specific risks to their business and strategies to mitigate and manage those risks. Small and large businesses are impacted by a myriad of converging social, economic, and environmental challenges that can disrupt their ability to achieve optimal performance and impact. CMM advises on the full range of options that exist for businesses to manage risk, establish a plan of action, implement targeted strategies, measure and report their progress, and communicate their impact and success. Mr. Coleman and CMM have served small (<$10M in annual revenue) to large Fortune 500 (>$50B) clients on strategic and specialized assignments requiring expertise on energy, environmental, sustainability, product stewardship, social responsibility (CSR), governance, enterprise risk, emerging issues, business strategy, economic development, government affairs, client development, client relations, industrial benchmarking, innovation and infrastructure. 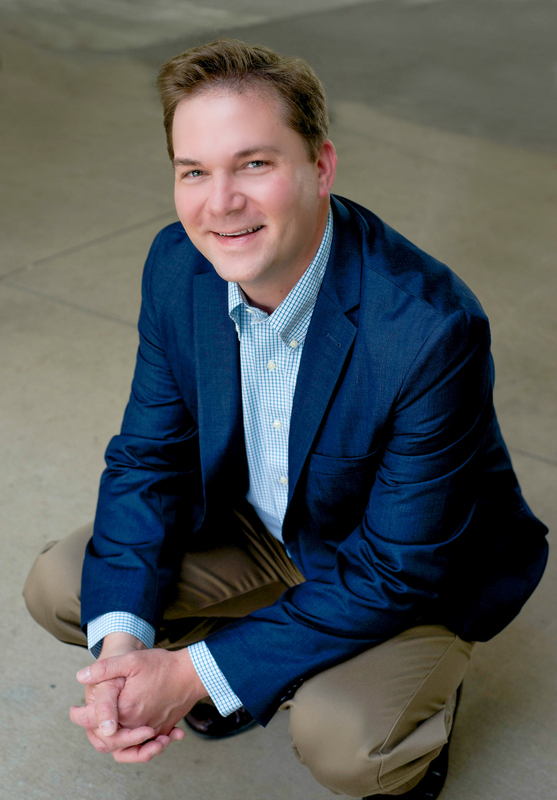 Since May 2013 Mark Coleman has supported Harbec, Inc. (www.harbec.com) as a Business Development Manager. At Harbec Mark has developed relationships through conscious business development: connecting the dots between people, planet, and prosperity; establishing partnerships toward the reinvention of U.S. manufacturing; and advancing and demonstrating the value of sustainable manufacturing. Harbec’s mission is to provide tightly toleranced prototypes, tooling, machined components and quality injection molded parts in a sustainable manner with a social conscience. Harbec provides superior customer service, satisfaction and timely delivery of custom engineered solutions. Between 2004 and 2013 Mr. Coleman worked in several applied research and technology, incubator management, and funding development positions at Rochester Institute of Technology (RIT). At RIT Mr. Coleman served as a Senior Program Manager within the Center for Integrated Manufacturing Studies (CIMS) and Golisano Institute for Sustainability (GIS). In addition, he was a co-principle investigator (PI) and Manager of Technical Development for the RIT Clean Energy Incubator (CEI). For each of these organizations he held key responsibilities for strategic planning, programmatic management, and progressive fund raising. During his tenure at RIT Mr. Coleman supported the creation of new academic, research, and economic development programs, like GIS, as well as entirely new customer/market-facing centers such as the New York State Pollution Prevention Institute (NYSP2I) and Clean Energy Incubator (CEI). Mr. Coleman helped RIT secure more than $20 million in funding awards for strategic research, technology, innovation, and sustainability initiatives. In 2008 Mr. Coleman was the lead architect/author of a proposal that secured $1.5 million for the RIT Clean Energy Incubator at RIT. Prior to CEI, he was one of the principle investigators (PIs) and contributors to the Renewable Energy Network of Entrepreneurs in Western New York (RENEW-NY), a precursor to CEI focused on identifying and understanding the needs of, clean technology companies in Upstate New York. Mr. Coleman’s work at RIT required a unique combination of talents that relate to inreach, outreach, and relationship building with funding sponsors, alumni, students, faculty/staff, researchers, and other stakeholders involved in a regional “innovation ecosystem.” Mr. Coleman’s efforts supported engaging the regional innovation network on a daily basis, and working with it to reinforce programs and yield positive community results and impacts. Mr. Coleman began his career working for the New York State Energy Research and Development Authority (NYSERDA) as an energy strategist and analyst and key member of the internal program evaluation team. During his tenure with NYSERDA Mr. Coleman managed multi-million dollar contracts, supported organization planning including program development. As a member of the cross-organizational and multidisciplinary “program evaluation team” centered in the Energy Analysis Group, Mr. Coleman supported efforts to monitor, measure, and independently and objectively report on metrics and indicators of programmatic performance of the NYSERDA administered System Benefits Charge program. Mr. Coleman also contributed to NYSERDA’s strategic program planning, statewide energy planning, and contributed to numerous critical publications such as the NYSERDA 3-year Strategic Plan, SBC Evaluation Report, and State Energy Plan. In addition to his career at NYSERDA and RIT, Mr. Coleman has served as an independent advisor serving government, academia, small business, and Fortune 500 firms in the areas of strategic business planning, sustainability, risk management, governance and innovation. From 1999-2012 Mr. Coleman served as a Senior Research Associate with the firm, AHC Group, Inc. During this time Mr. Coleman contributed to AHC Group research, publications, development and facilitation of executive leader-to-leader workshops, and facilitation of private multi-company corporate benchmarking learning and knowledge-sharing sessions. Mr. Coleman has facilitated dialog with hundreds of companies in the areas of sustainability, global product stewardship, environmental compliance, corporate environmental remediation, health and safety. 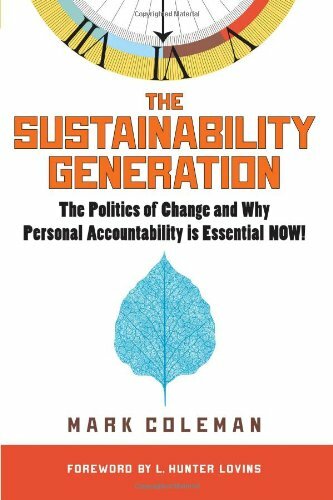 Much of this work led Mr. Coleman to publish his first book, The Sustainability Generation: The Politics of Change and Why Personal Accountability is Essential NOW! 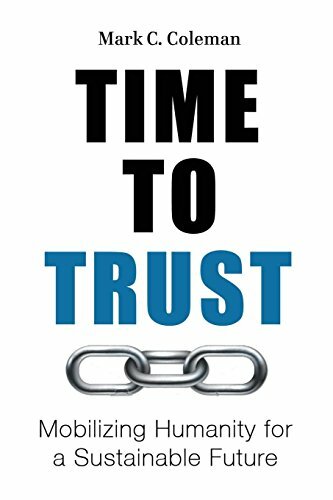 (SelectBooks, 2012) which highlights his perspective on holistic systems-level logic and theory for advancing humanity beyond the status-quo toward more integrated and communal models of sustainable development. Between 2008 and 2013 Mr. Coleman served on the board of a not-for-profit organization, B9 Plastics (www.b9plastics.org) involving global water development concerns. Mr. Coleman earned a Master of Science in Environmental Management and Policy from Rensselaer Polytechnic Institute; a Bachelor of Art in Environmental Studies and a Bachelor of Art in Geography (concentration in Environmental Planning) from Binghamton University; and an Associate of Art in Humanities and Social Sciences from Cayuga Community College. He resides in Auburn, New York with his wife Aileen and two sons Owen Patrick and Neal Garrett.